M&S Parking: Is free motorcycle parking coming to NYC? 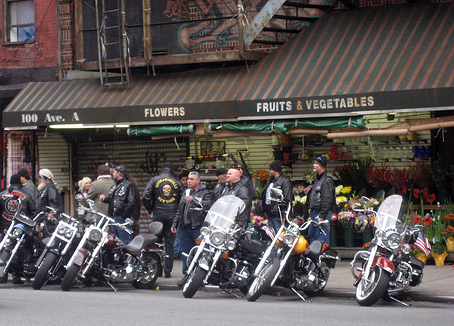 Is free motorcycle parking coming to NYC? 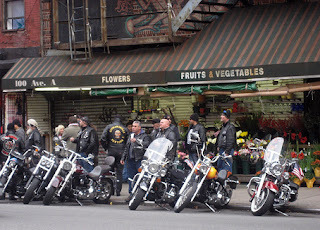 According to the Daily News, City Councilman and motorcycle enthusiast Peter Vallone Jr. (D-Astoria) is proposing free motorcycle parking throughout all five boroughs. Vallone believes bikes should be exempt from needing a muni-meter receipt because there is no way for riders to affix them where they won't blow away or be stolen. DenDekker also cited the need to encourage greener forms of transportation, saying motorcycles required less gas and space and created less pollution. When contacted by the Daily News, a NYC Department of Transportation spokesman recommended bikers should use clear plastic receipt holders as specified on their website, which can be locked to the motorcycle. What do you think of Vallone's proposal? Should motorcycles be treated like bicycles and free to park, or charged wtih meters like cars and trucks?